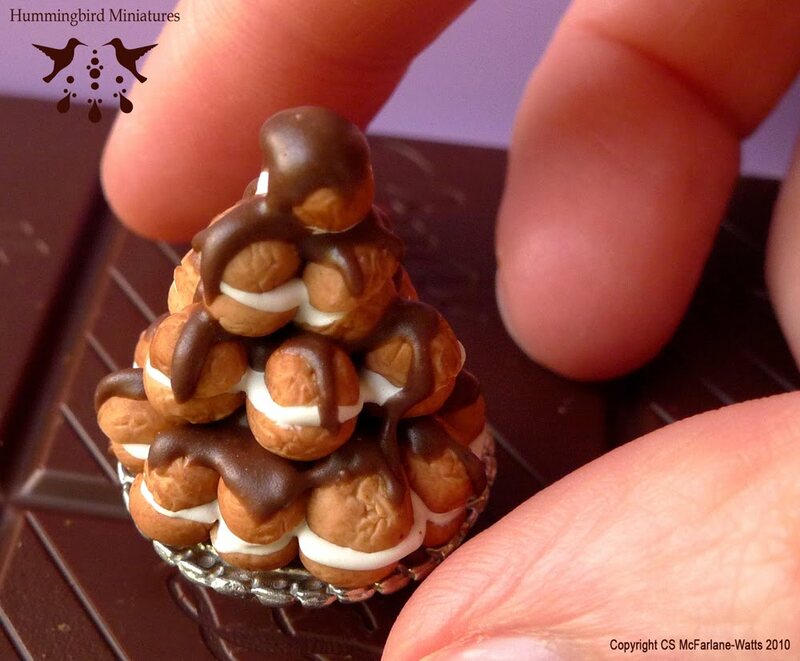 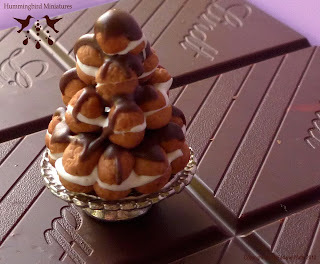 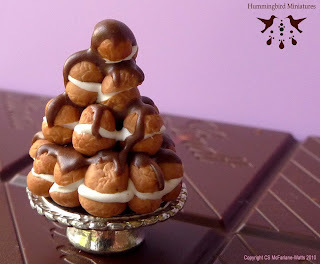 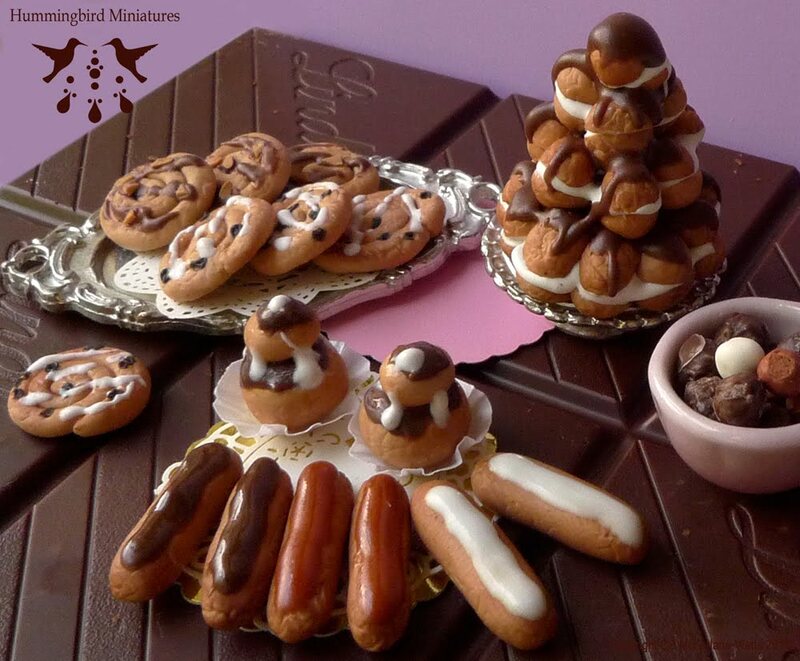 This is a pyramid of 1:12 scale cream profiteroles drizzled with chocolate sauce. Made from Polymer clay. Each individual one measures 0.5 cm.